Day of the Dead is an incredible celebration, with its current form born of the syncretism between indigenous spirituality and Catholicism. Day of the Dead (or Dia de Los Muertos) welcomes the dead back to Earth for a time of remembrance, rejoicing, and honoring. 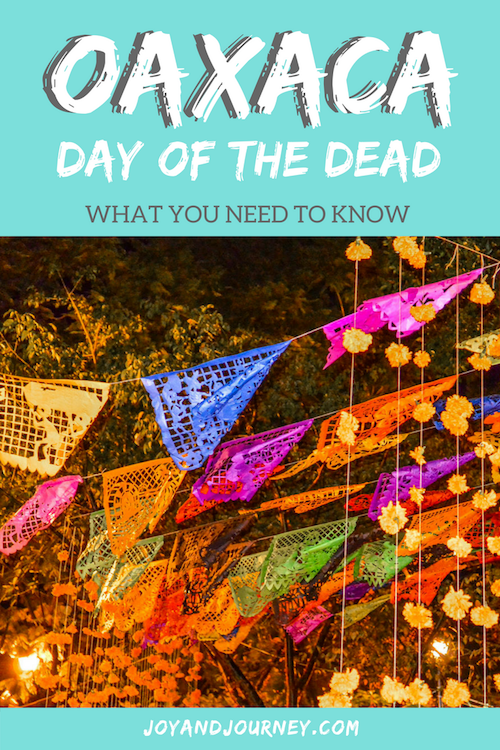 Day of the Dead has been celebrated throughout Mexico, in varying forms, for over 3000 years, and is currently experiencing a surge in popularity with tourists interested in witnessing the unique celebration… for good reason! 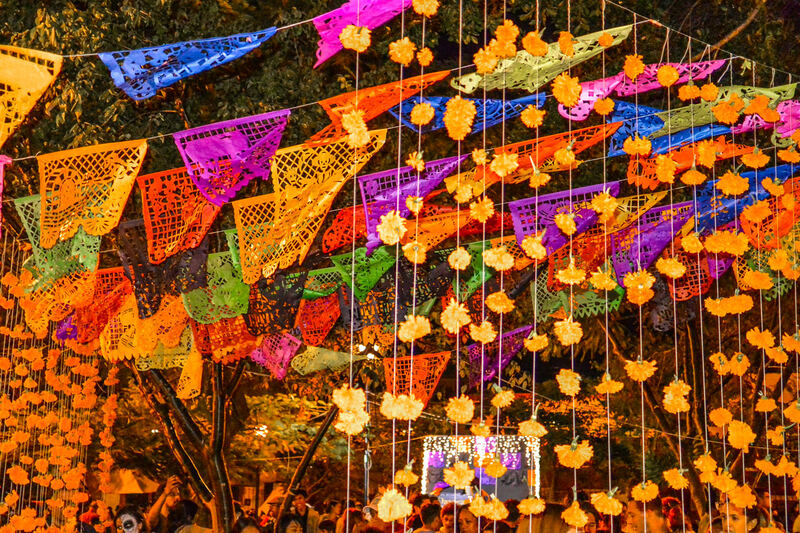 Day of the Dead is colorful, vibrant, and fun while exploring one of humanity’s most taboo yet fascinating topics. 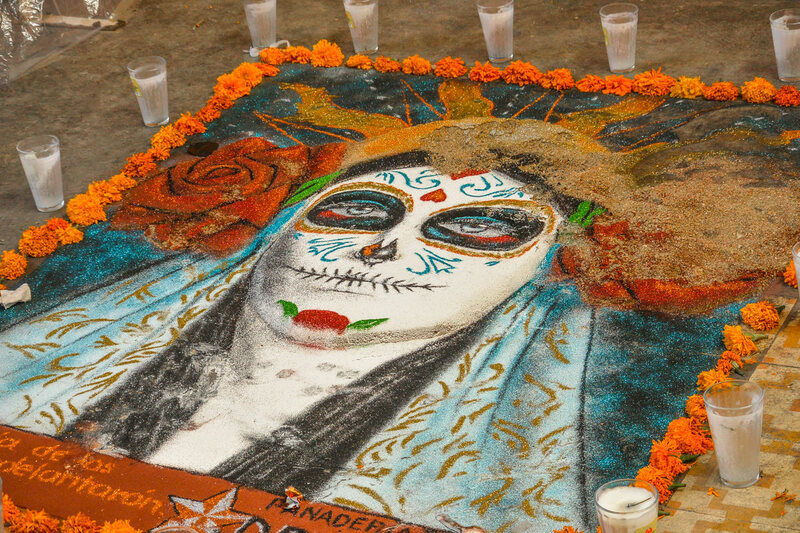 Of all the places where Day of the Dead is celebrated, Oaxaca is an especially beloved destination for tourists. 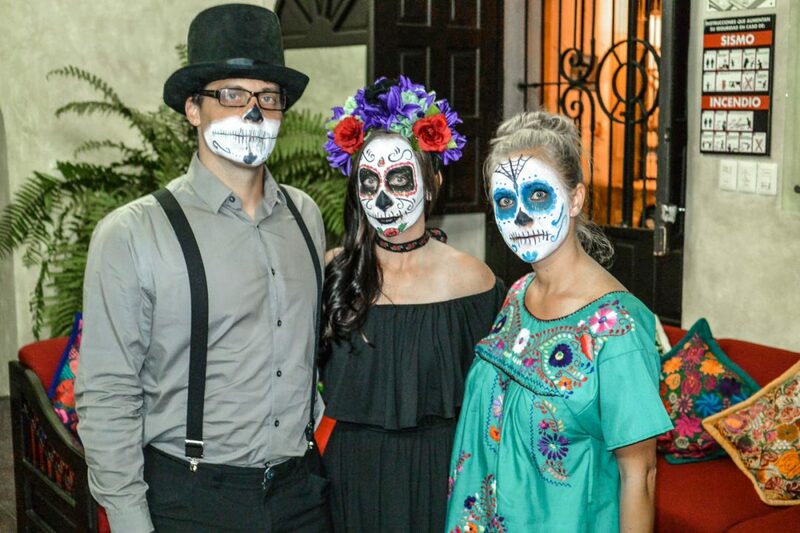 The town is the perfect place for a foreigner to experience Day of the Dead because of the ease of access, the general environment of welcoming tourists to participate, and the dynamic Day of the Dead pageantry that goes on in the city and surrounding villages. 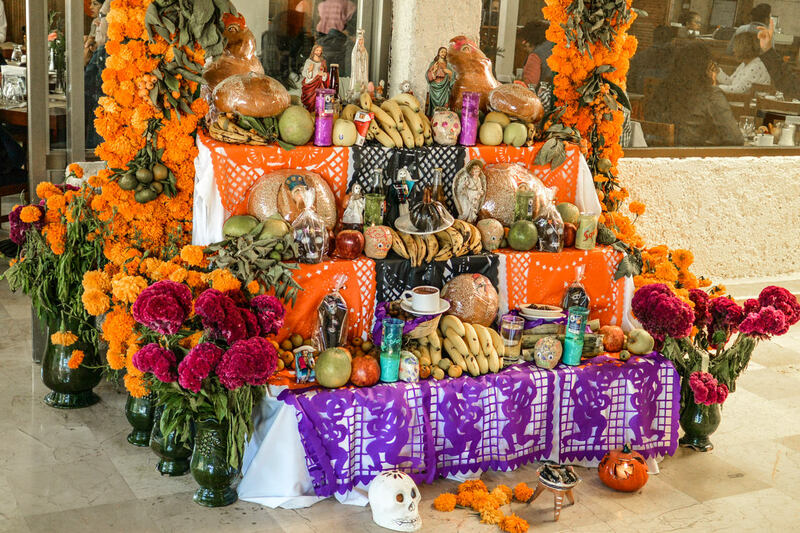 In Oaxaca, the main events occur from October 31 to November 2, but there are related events and activities for weeks before and days after, and in the surrounding villages. Oaxaca has become a bit of an international tourism darling, especially when it comes to Day of the Dead, and is an extremely popular place to experience the holiday, so book flights, bus tickets, hotels, and any tours well in advance. I recommend Oaxaca as one of the best destinations in Mexico for experiencing Day of the Dead mainly because it’s exceptionally easy for tourists to join in on the celebration, and visitors are warmly welcomed. The festivities in Oaxaca tend to be large and community-oriented, so the presence of visitors is not inappropriate or offensive. Increasing numbers of tourists have been flocking to Oaxaca, especially for Day of the Dead, over the past decade, so visitors are not at all out of place or unusual. Remember that this celebration is not a staged performance for tourists’ benefit, but rather a traditional and time-honored celebration that you are so graciously being allowed to participate in. It’s important to be respectful and honor the welcome you’ve received. Take photos with care: don’t be intrusive and avoid taking photos of children without permission. Don’t get drunk and disorderly. 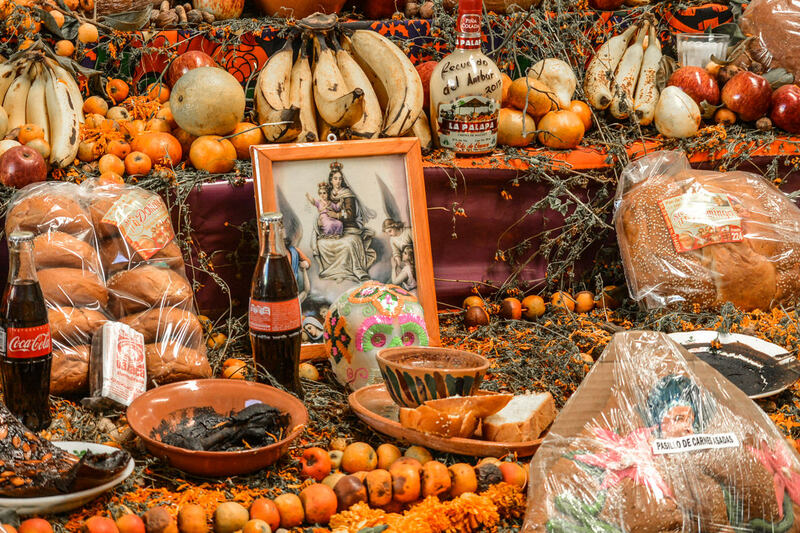 Show ofrendas and cemeteries the same respect you’d show similar sites in your own culture (ie don’t pose on grave sites for photographic purposes or touch/alter ofrendas: both of which I’ve sadly seen!). If you want to communicate, learn some Spanish before you go, or bring a phrasebook, and don’t complain or pitch a fit if people don’t understand you. No one is obligated to speak English. Have your face painted by an artist to support their work instead of doing it yourself, and be mindful of cultural appropriation. When in doubt: ask a local what is appropriate or not. If you would like to visit celebrations or sites that are “off the beaten track”, especially in indigenous communities, go with a local guide or local tour group, to ensure that your presence is appropriate and desired. I know it goes totally against most Americans’ style of planning, but really, the best way to experience Day of the Dead (in Oaxaca and elsewhere) is to wander around, see what happens, and follow the moment. Even pre-organized activities (like comparsas or Catrina contests) are loosely planned, with times as more of a suggestion than anything else. You’ll enjoy your experience the most if you let go of your strict punctuality and datebook. While Oaxaca has its own airport, a cheaper option would be to fly into Mexico City (or Puebla) and take a bus to Oaxaca. While the bus from Mexico City is long (around 7 hours), the bus from Puebla is only just over 4 hours. My recommendation would be to fly into Mexico City, spend a day or two or more enjoying Mexico’s biggest – and I’d argue BEST – city, and then take the bus into Puebla (around 3 hours, depending on traffic), where you can spend a day and a night before heading to Oaxaca. Here are my favorite recommendations for what to do in Mexico City and in Puebla. The bus station in Oaxaca is right on the edge of all the Day of the Dead activities, so you can really arrive into the station and immediately start your trip, most likely just walking to your hotel. There’s a huge variety of accommodation options in Oaxaca, but they all share one thing in common: they book up quickly for Day of the Dead! 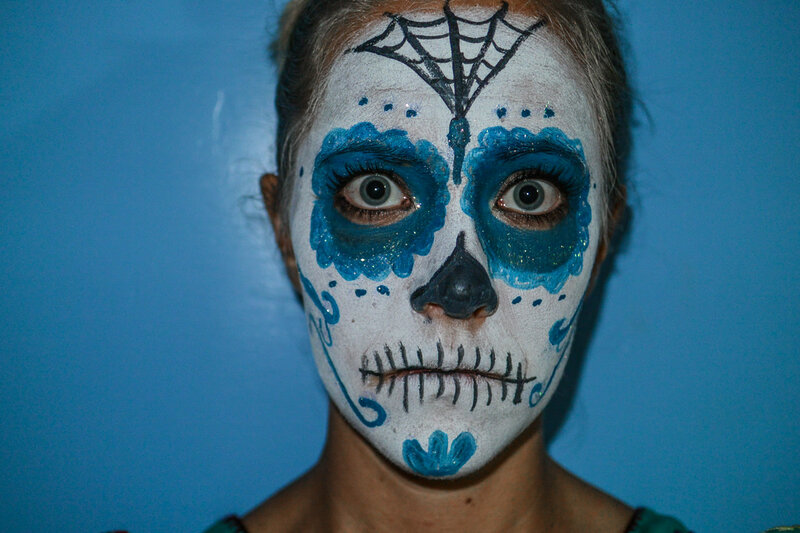 As of right now, the time of publication, over 70% of rooms in Oaxaca are already booked for Day of the Dead. No matter where you book, trying to stay near Alcala street or the Zocalo will score you the best and most convenient spot. Hotel Con Corazon is definitely my favorite pick of the bunch. While I haven’t stayed in their Oaxaca location, I fell in love with their Granada branch. Hotel Con Corazon is a social enterpise and nonprofit, as all profits are invested in educational programs for local kids that allow them to finish school and have more opportunities. The hotel itself has a very boutique vibe, and is super cute and cozy. 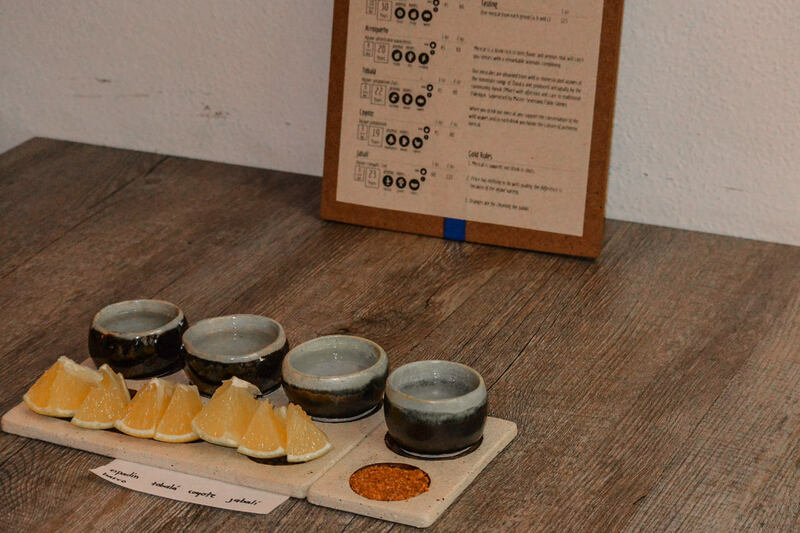 Iguana Hostel has a super convenient location in the heart of Oaxaca, two blocks from the Andador, and in between the Zocalo and Iglesia Santo Domingo. It’s exceptionally clean, spacious, and roomy, with a loft-like feeling. The cool rooftop terrace is a great place to hang out and a definite bonus. In most cities in Mexico, Airbnb offers the best value, especially if you’re traveling with a group, for a wide variety of price points. Oaxaca is not an exception. Hotel Veracruz is simple and cheap. It’s located right next to the ADO bus station (literally, they’re neighbors) and is a short walk to the Day of the Dead action. The rooms aren’t super well insulated, so you’ll hear a lot of hallway noise, which can be avoided if you ask for an end room. Still, the hotel is a good value, with strong wifi and air conditioning in every room. Suites Colibri is another simple hotel, very conveniently located in the city center. The hotel allows for late check-ins and early check-outs, but basic Spanish knowledge is necessary as most of the staff do not speak any English. 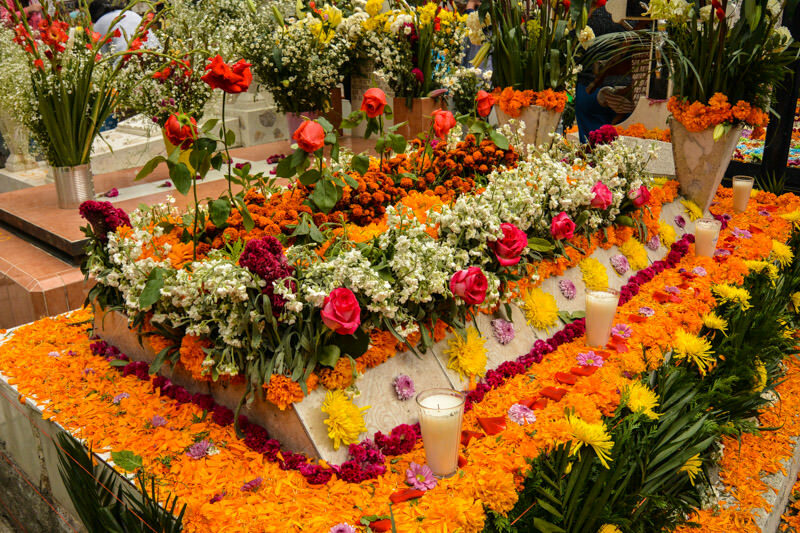 Have you celebrated Day of the Dead in Mexico?